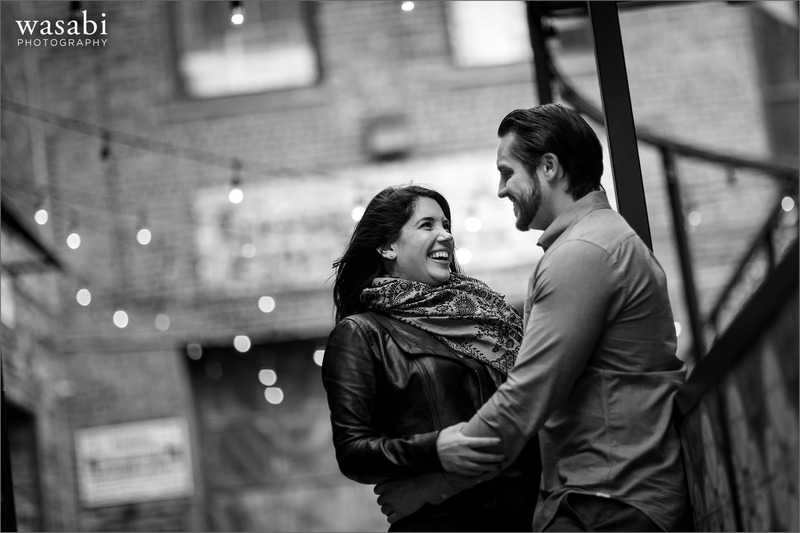 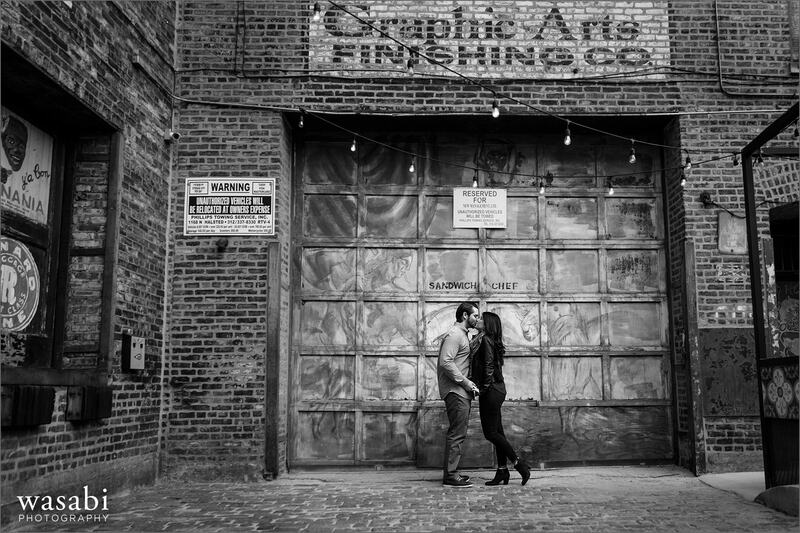 We started Jaclyn and Tom’s West Loop engagement session at Green Street Smoked Meats after a drink across the street at Haymarket Pub. 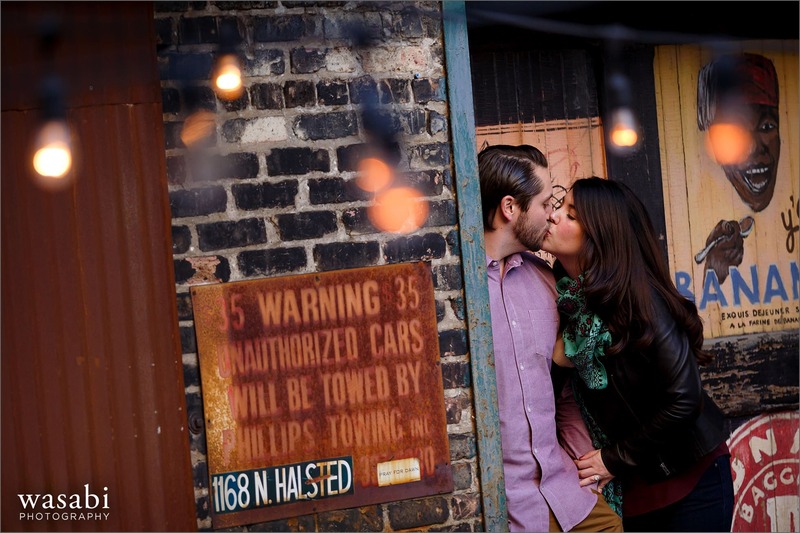 Green Street has a really great patio area with hanging lights and a few cool loading dock doors. 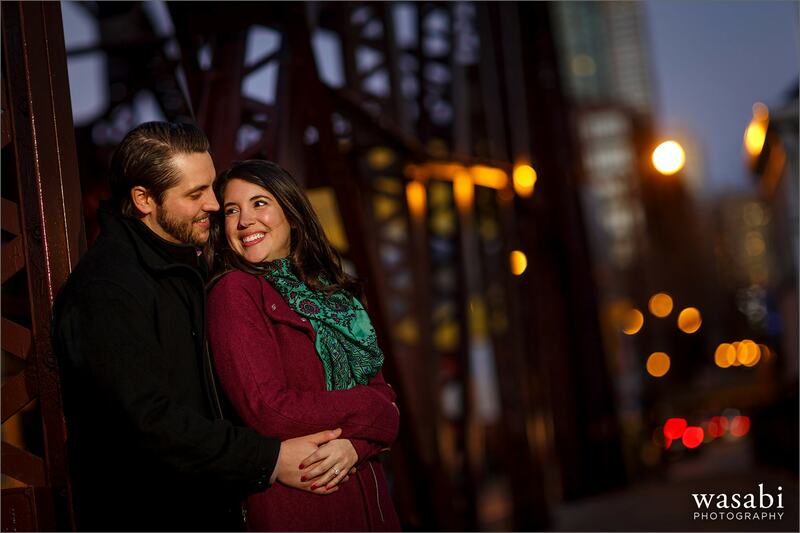 From there we wandered around the neighborhood a little bit and then jumped in the car for a quick drive to Kinzie Street. 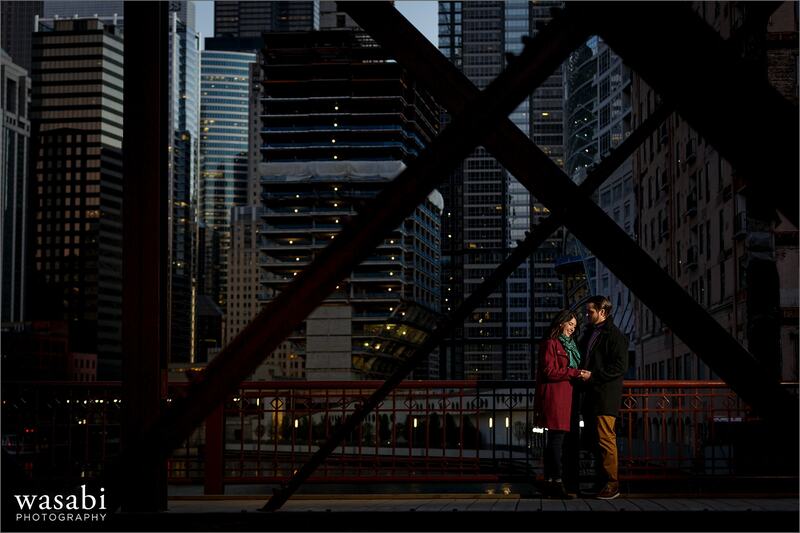 We stopped at Fulton River Park as the golden light was peaking. 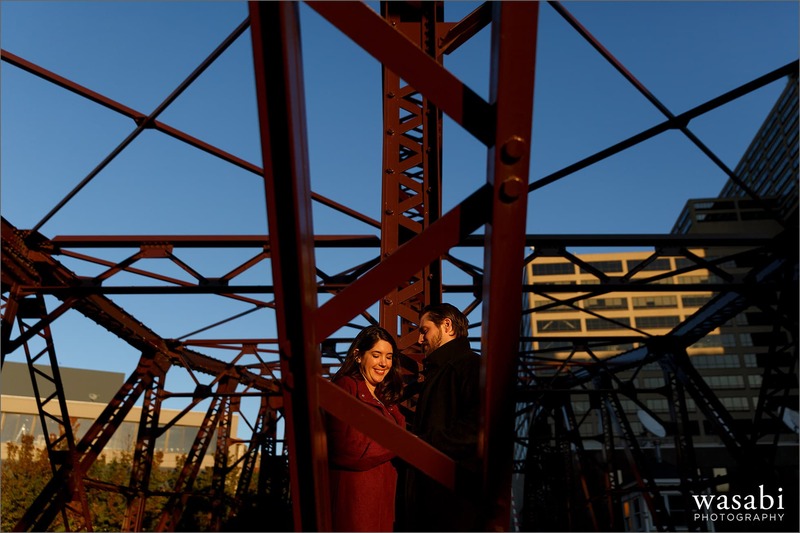 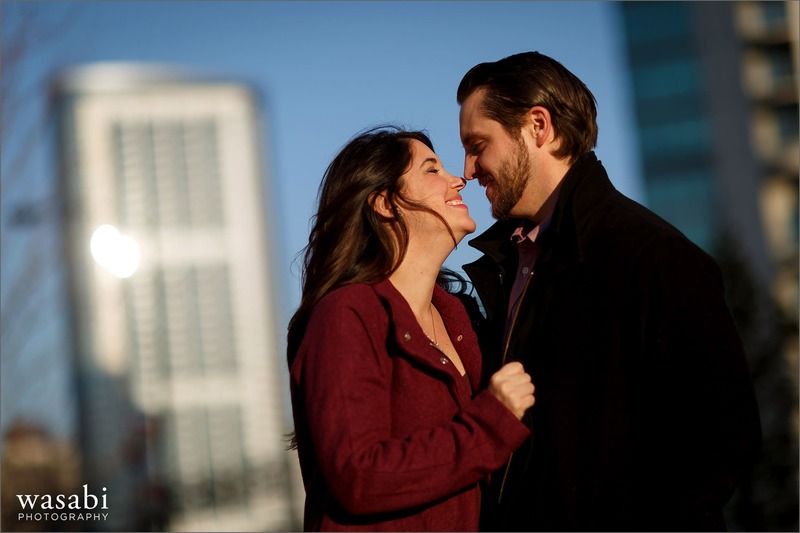 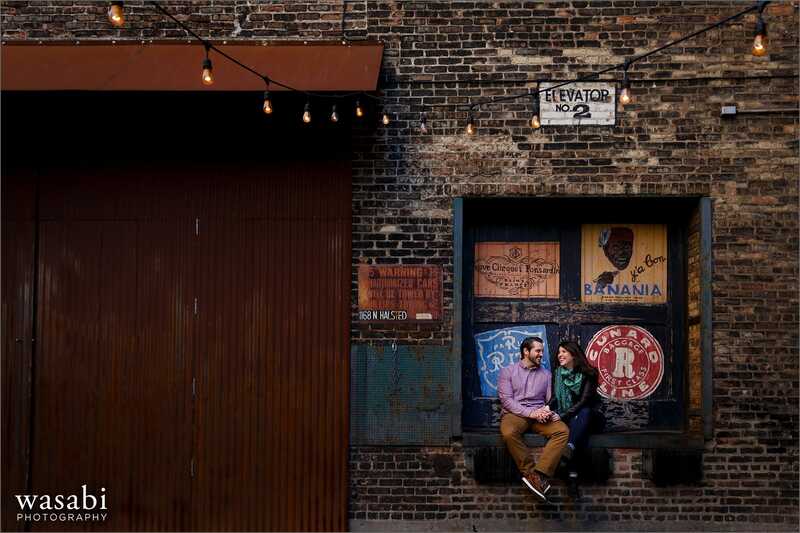 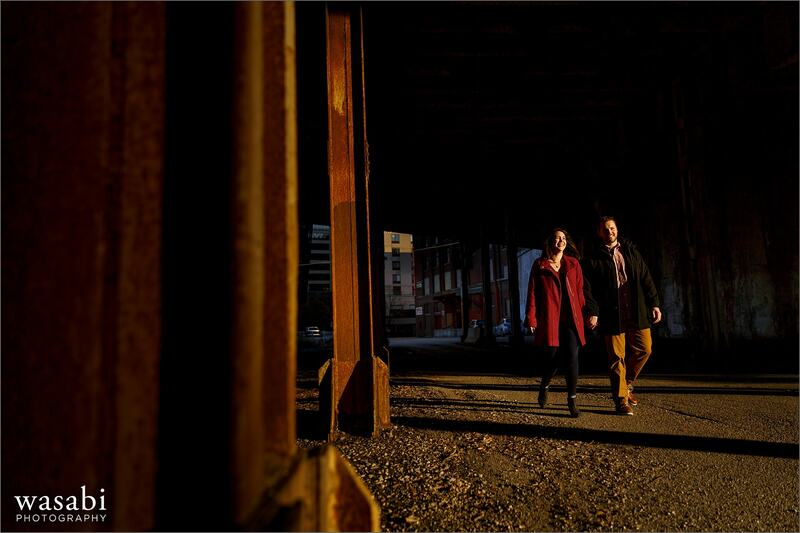 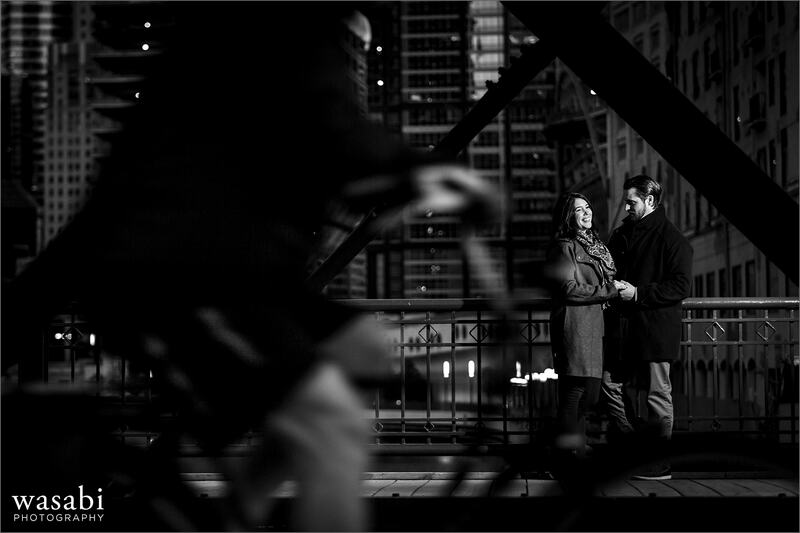 We finished up at Kinzie Street Bridge, a classic Chicago engagement spot. 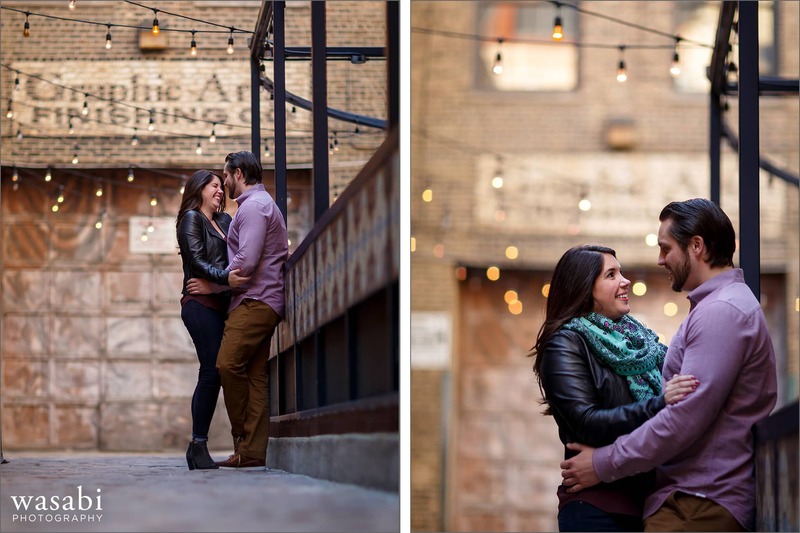 On the way back to the car, we stopped for one last shot. 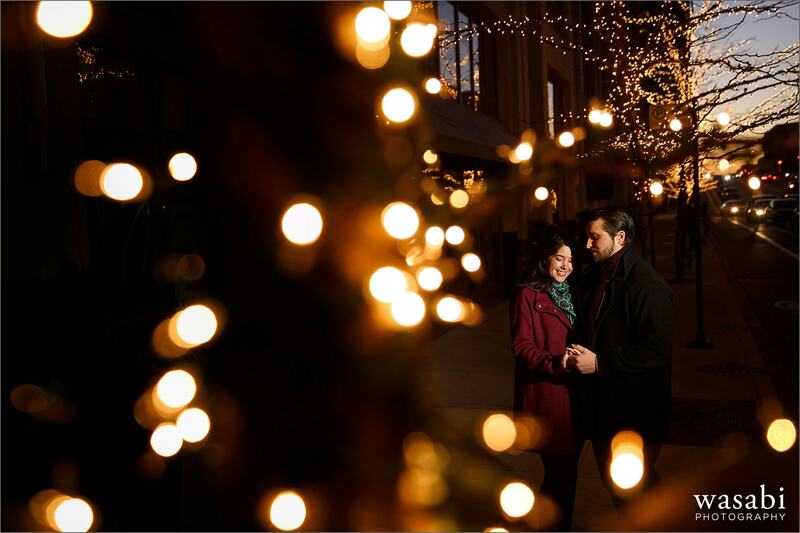 I’m a sucker for twinkle lights! 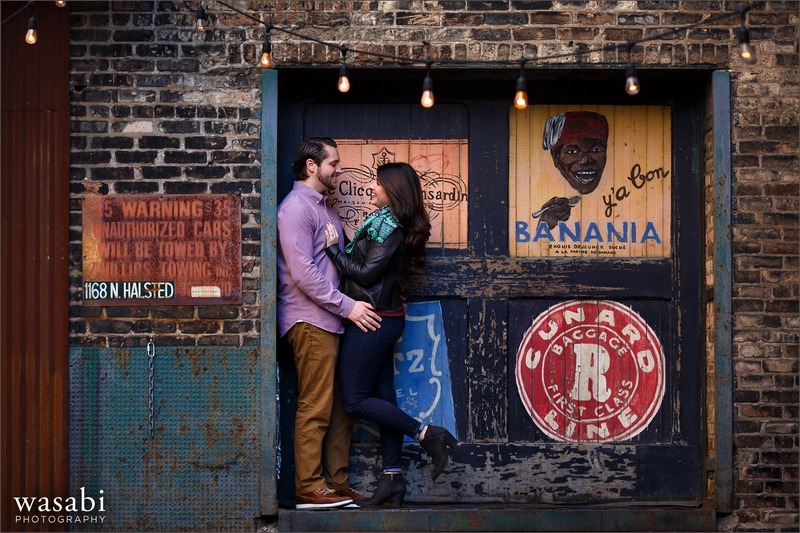 Thanks for hanging out guys, can’t wait to see you next summer.